As for our auto finance options, we have a variety of car loan and Honda lease options that we can tailor to fit your needs. Our auto finance specialists are willing to work hard to find you a finance option that you’re happy with. Once you’re an owner, Liberty Honda is still here to help you with your other automotive needs. We offer a convenient on-site car service and maintenance department that is staffed with highly trained technicians that use the best equipment and only certified Honda parts on your car. 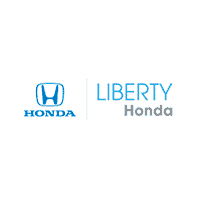 For the entire Liberty Honda experience, we invite you to visit us in person. Our staff would be happy to provide you with more information about our products and services. Contact us online or visit us at 71 West Service Rd. Hartford, Hartford. We proudly serve drivers from West Hartford, Manchester, Glastonbury and Middletown as well!